All the Places to Go: How Will You Know? John Ortberg Jesus said, “Knock and the door will be opened to you” (Matthew 7:7). 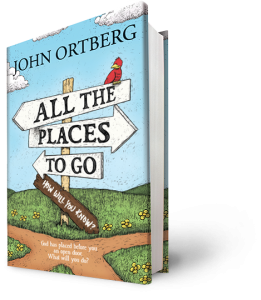 But as pastor and bestselling author John Ortberg points out in his most recent book, Jesus doesn’t say which door to knock on, how loud we should knock or how long we should keep it up.